ARE YOU AN ONLINE INFLUENCER OR BUSINESS LOOKING TO EARN AN AFFILIATE COMMISSION WITH BUDGET BOOT CAMP? LOOK NO FURTHER, SIGN UP AND START EARNING TODAY! Already a boot-camper and looking for information about our Refer-a-Friend program? Head over to our refer-a-friend page to find out more! Apply Today: We want work with you! You may recognize Jordan Page from the internationally recognized blog, FunCheapOrFree.com. 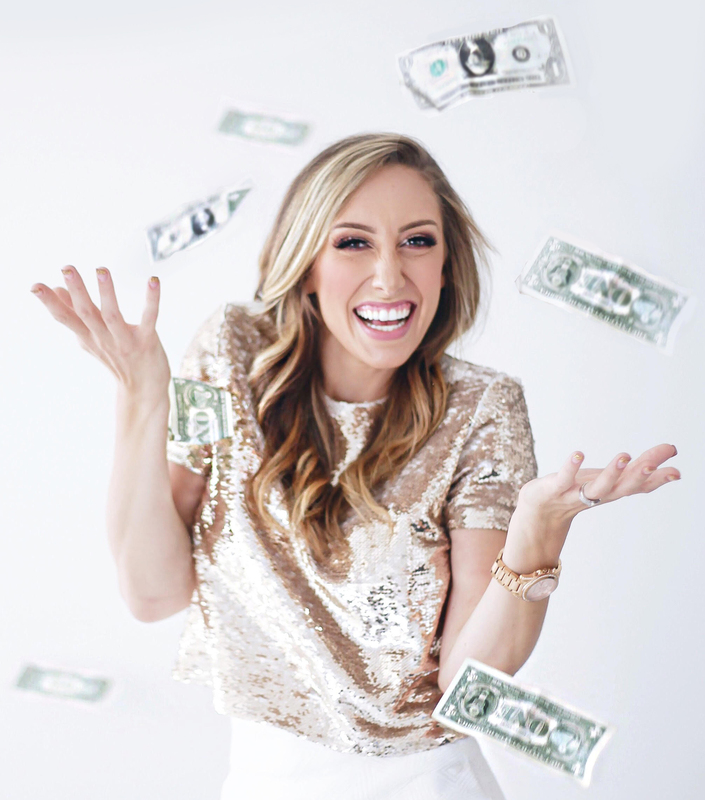 Jordan is a renown blogger, speaker, entrepreneur, wife, and mom to 6 kids 8 and under. She and her husband got out of a mountain of debt in a little over one year, and have helped change the lives of hundreds of thousands of families since. They enjoy living the high life in their 8,500 square foot dream home, driving new cars, enjoying vacations and adventures as a family...all while staying on tight budgets, managing their money, and being a go-to frugal living expert for TLC, the Today Show, Good Morning America, Rachael Ray, Us News, and more. The secret to their success is "BECAUSE of how frugal they are, not in SPITE of it." But how?? WHY WE KNOW YOUR AUDIENCE WILL LOVE BUDGET BOOT CAMP! We're DEBT FREE!! We finally made it and 4.5 months earlier than planned thanks to BBC! If all goes well, I'll be able to be a stay-at-home-mom soon! Jordan, you have made budgeting more fun and less daunting!! My favorite aspect of the BBC program is the BMI spreadsheet that you've set up for us. It makes it so much easier! It has been really eye opening for me! To put everything out there and know where your money is going and where to cut back. Jordan knows what she's doing and is awesome through every step. I just paid off a credit card of $2,660 AND reached $1,000 in savings! I can't thank you enough for sharing your budgeting tips with us! I have tried EVERY budgeting technique out there, and this is the only one that has stuck! Best decision ever! I highly recommend this program. In my first month on the plan I found an 'extra' $500 that we have been blowing!